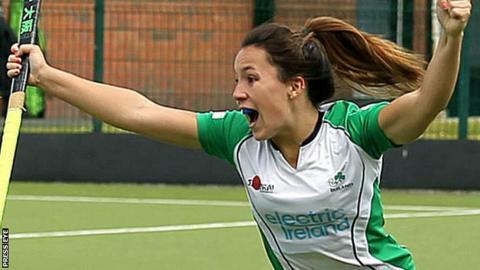 Both of Ireland's national teams have won their quarter-finals at the FIH Champions Challenge tournaments. In Glasgow, the Irish women caused an upset by beating the world's number eight side Korea 2-1 with goals from Katie Mullan and Anna O'Flanagan. They will now face the winners of the game between Scotland and South Africa. The men's game with France in Malaysia ended 2-2 and the Irish went through to the semi-finals by winning the penalty shoot-out 3-0. Ireland took an early lead when Alan Sothern converted from a penalty corner. France fought back to lead 2-1 thanks to scores by Guillaume Derong and Martin Genestet but, with just six minutes left, Stephen Dowds tied the contest. In the shoot-out, both sides missed their first penalties before Ireland went on to score three through Eugene Magee, Peter Brown and Sothern. Ireland play Korea or Japan in Saturday's semi-final.